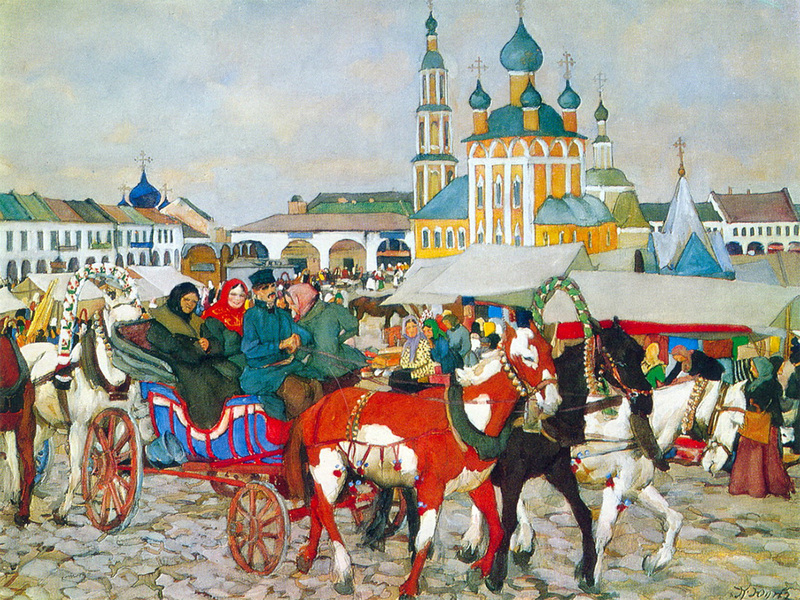 Konstantin Yuon's masterpieces depict provincial Russia, its unique beauty and charm. We chose 10 of the best. 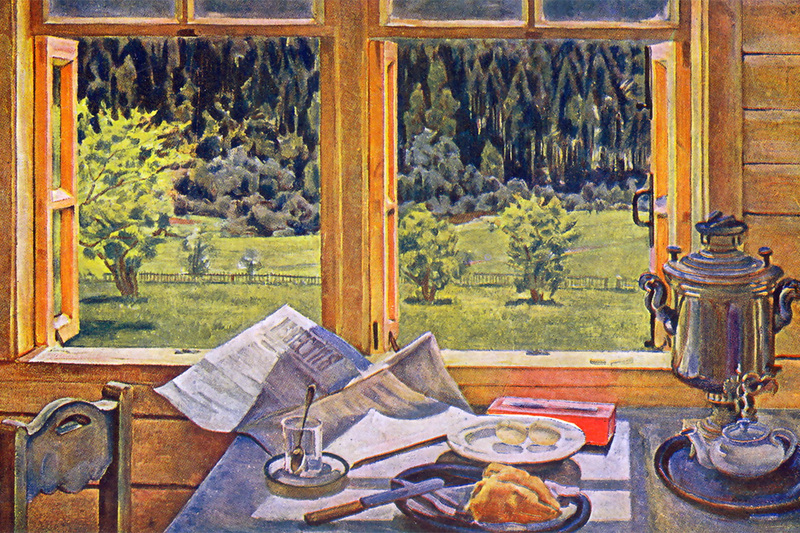 KONSTANTIN YUONKonstantin Yuon was a Russian graphic artist, stage designer, and painter. 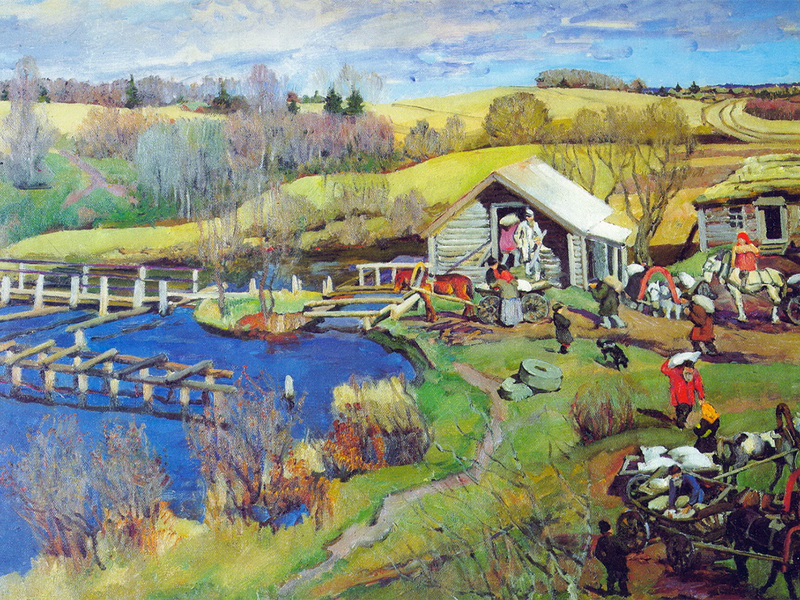 He worked in various fields, but his main calling was landscape painting. Learning from the Impressionists, Konstantin also paid close attention to the Russian realist traditions of the late 19th century. 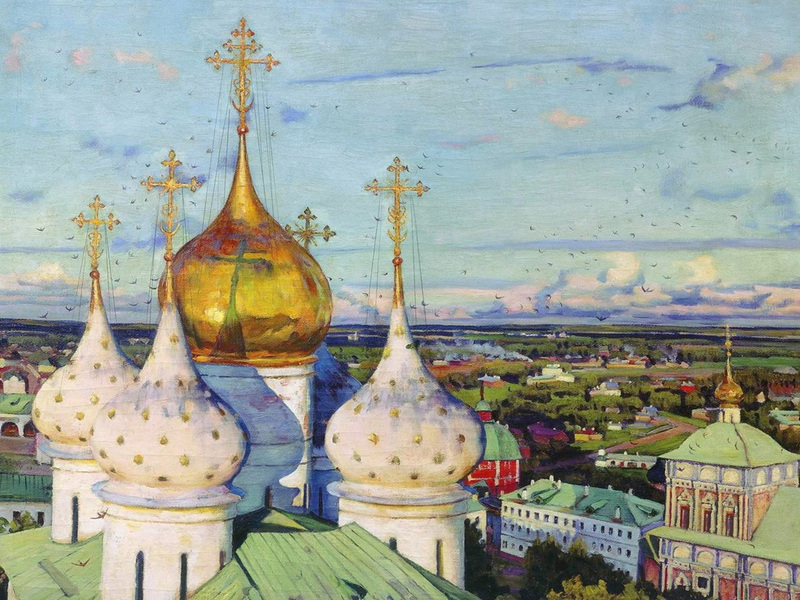 Like Boris Kustodiev, he adored Russian antiquity, its decorativeness and vividness. 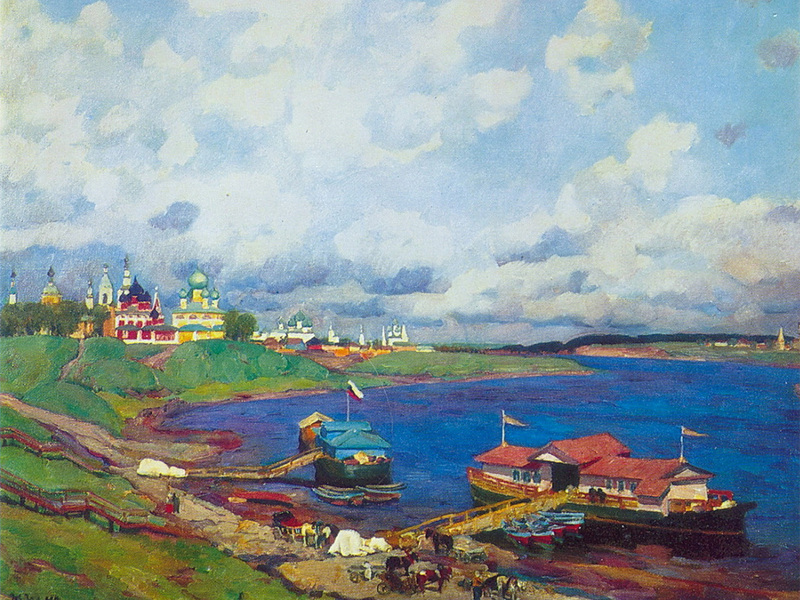 He often depicted the Russian provinces. His interest lay in the contrasting weather conditions, the life of provincial towns and villages, and the architecture of churches and monasteries. 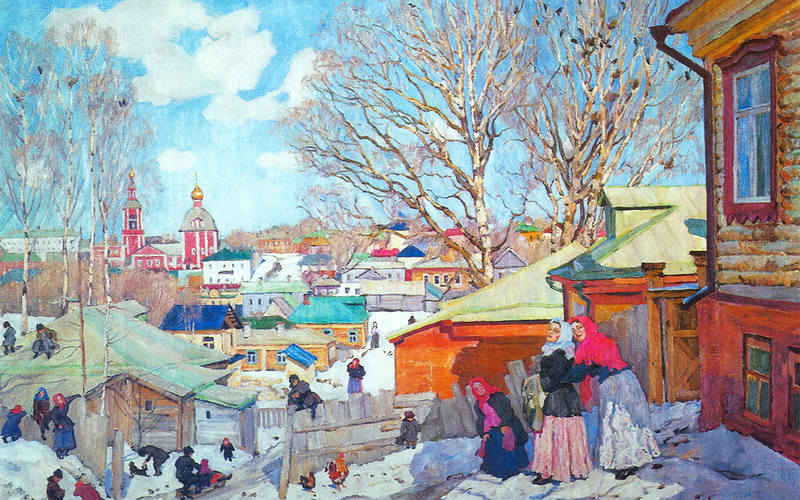 After the revolution, the artist’s style changed, but one century later the Russian village ethos frozen on canvas in the paintings of Konstantin Yuon is priceless. / A horse-drawn troika in Uglich, Konstantin Youn, 1913. 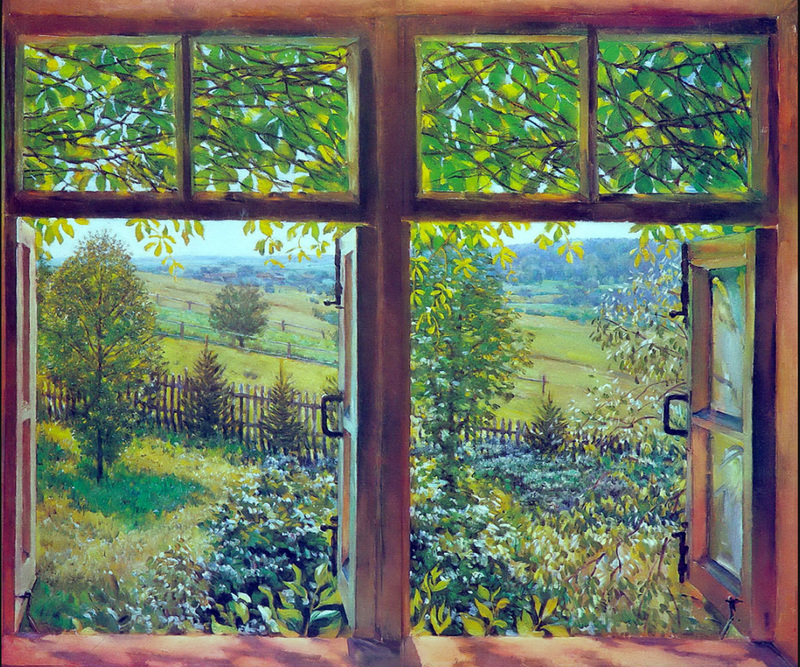 Window to nature. Ligachevo. May, 1928. Domes and swallows. Assumption cathedral of the Trinity Sergius Lavra, 1921. 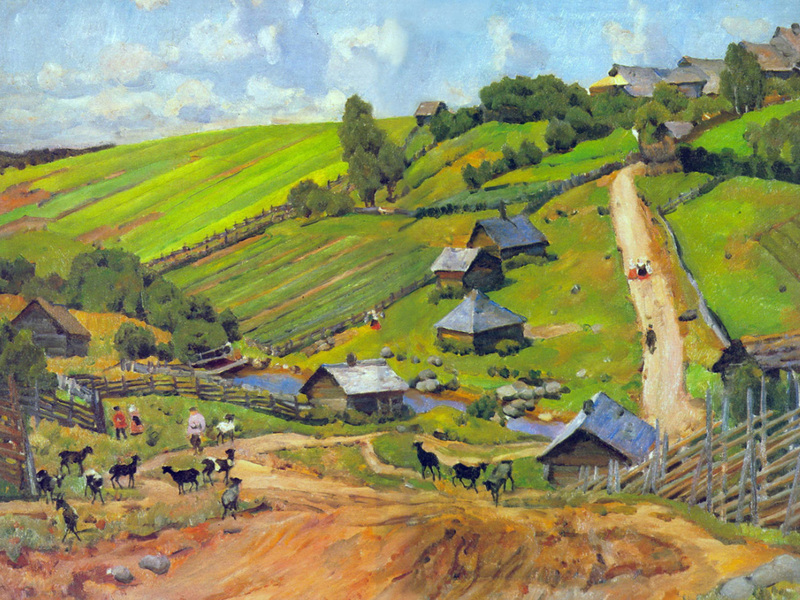 The village of Novgorod governorate, 1912. Songs of the collective farm. 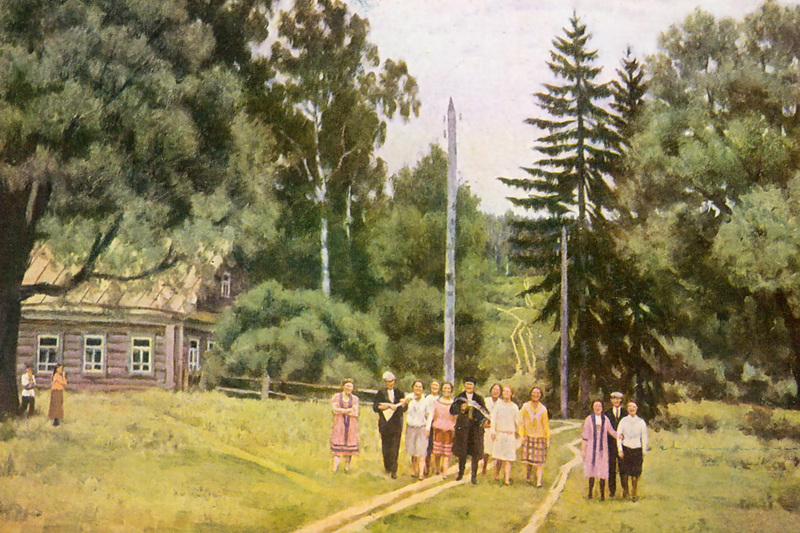 Ligachevо, 1954. 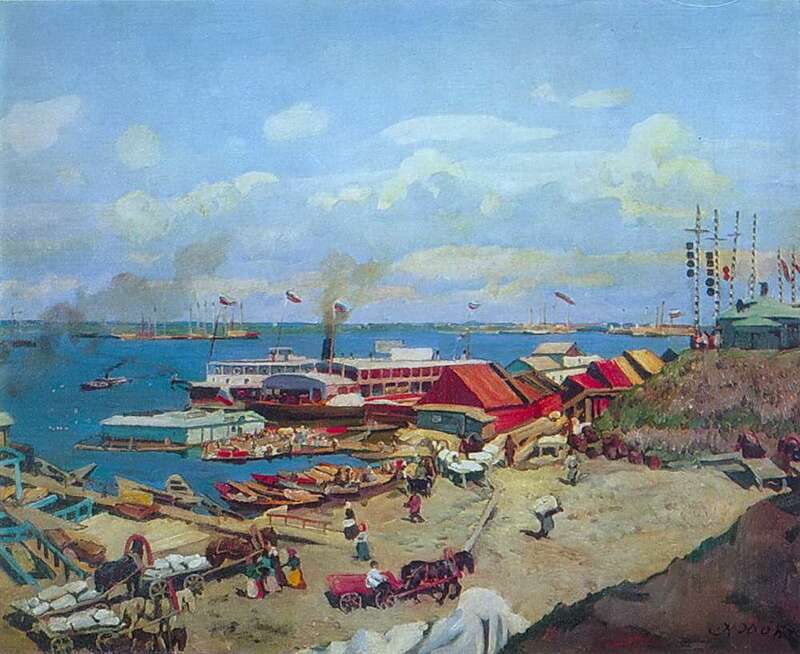 Wharfs in Volzhsky city, 1911.